Martin had recently taken on the role of a Health and Safety Officer for a large sporting venue which hosted many major events. For one particular event due to the increase in bookings, temporary scaffolding had been erected and signed off by the installers. However as part of his duties Martin also inspected the scaffolding and based on his experience in that area, he considered there was a potential risk associated with the erection. He passed his concerns to his manager who also carried out an inspection but deemed Martins concerns as unfounded. The following day after the previous night’s event, Martin again carried out an inspection and on this occasion, in his view. the possible safety matter had escalated so again he told his manager due to the fact there was a follow up event that night. Again his manager after inspection stated that there were no concerns and told Martin he was not required to carry out any further inspections on the scaffolding for the duration of it being there. Martin became very anxious and and was fearful there could be a collapse of the scaffolding with potential loss of life and he would be blamed and lose his job. He was reluctant to approach the Labour Department himself fearing his name would get back to management. 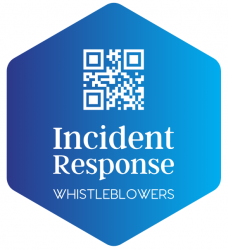 By being able to use a ‘Whistleblowing‘ Service, he was able to bring his concerns to the relevant Safety Authority and still preserve his anonymity.